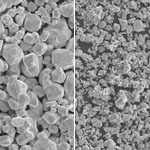 Use of various powders (pastes) made of metal nano powders (30/100 microns) such as Au, Ag and Ni as a next-generation leading material is anticipated. The rare metals tungsten and Molybdenum are vital materials in the fields of super-high temperatures exceeding 1500°C. 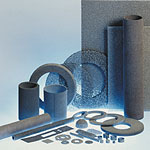 These materials are commonly used in applications that use their high specific gravity. 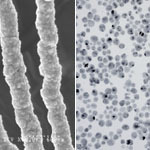 This nickel-based porous metal (CERMET), featuring a 98% porosity, is popularly used as an air electrode for batteries. 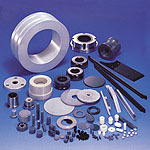 Fine ceramics made of nitrides and carbides are often used for semiconductors, FA devices and automobiles, etc. Nagoya Denki is aiming to develop new applications. Nagoya Denki has many three-dimensional metal parts that use MIM (metal injection molding) technology. 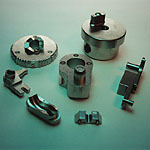 Consult with us for use in steel-based, SUS-based, copper-based or Mg-based applications.